You can use clarified butter in many ways. Because the milk solids have been removed it has a higher smoke point, so doesn’t scorch as easily as butter. Clarified butter is known as ghee in India and is used in different types of ethnic cooking. It is also the golden, delicious liquid used for dipping freshly shelled seafood, my favorite way to eat it! You can make as much or as little clarified butter as you like. It holds for a long time, some say indefinitely. So if you want to keep it on hand, it would be easier to make a large batch at once. Melt butter over low to medium heat in a saucepan. 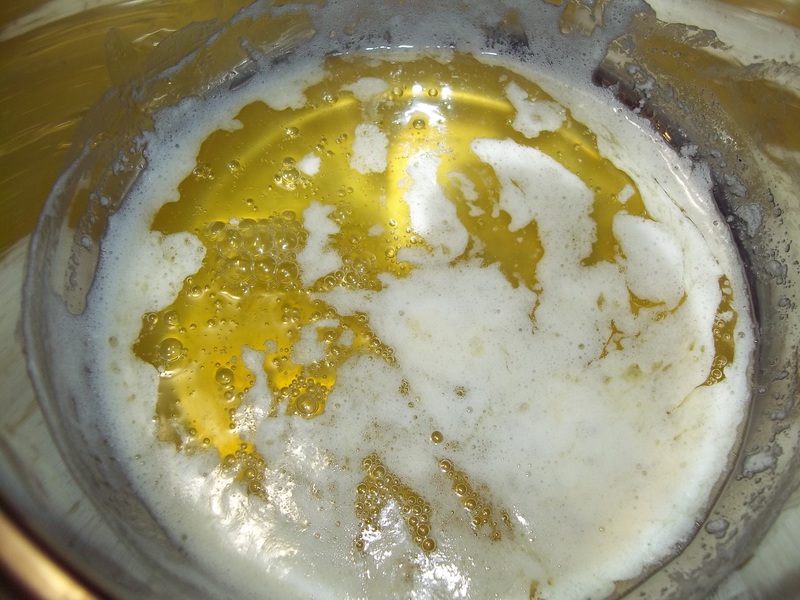 A foam will form on the surface of the melted butter. This is the milk solids that are rising to the top. 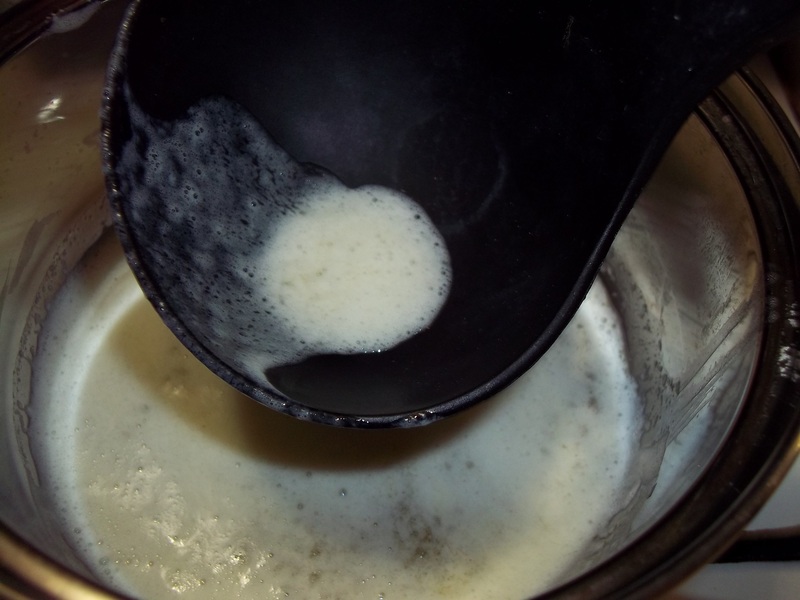 Take a ladle and swirl it on the surface of the melted butter to send the foam floating out toward the edges where they will be easy to collect. Hold the lip of the ladle against the side of the pan and skim the foam into the ladle. Discard. 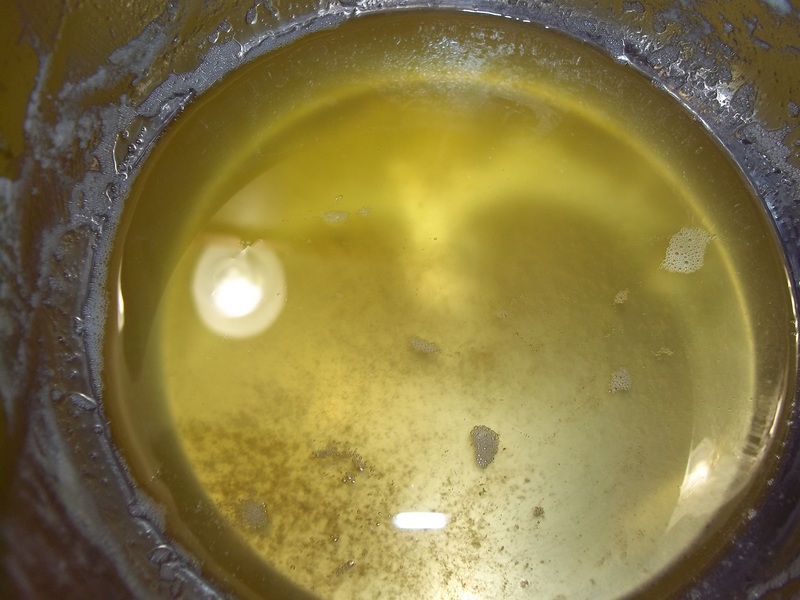 Be careful not to collect the golden liquid underneath which is the clarified butter. Continue until the butter is clear. If you like, you can strain the finished clarified butter through cheesecloth to filter out any brown bits that have settled on the bottom.